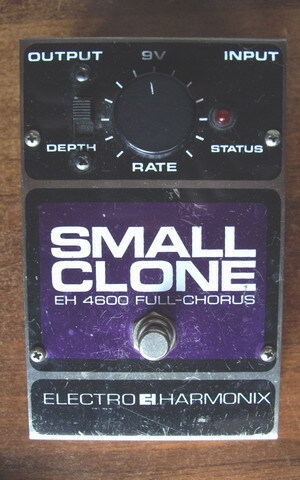 The SMALL CLONE sounded great for the same reason that old fuzz faces, Tweed amps, and Les Paul Juniors sound so good - Simplicity!. The circuit used was about the simplest chorus that could be built based on the delay chips available at the time. There are no extra devices or circuitry to affect your pure tone. The 3007 chip was used in the original pedals in the late 1970s and very early 1980s and allows higher levels and less noise without clipping your signal.